If you would like to send contribute images or other things, just send them to ask_them_all@yahoo.com. I know, this is my ask them all e-mail address but I am not taking questions at the moment. I just could use some images if you have any, thank you.~D.C. It's time to clean out the cobwebbs and breath in the freash air! Tomorrow is a new day! 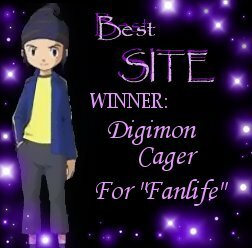 Digimon Cager's site, Fanlife, isn't for regular anime monsters; it's for anime monsters under the whip of disciplene and behind the bars of Experience. 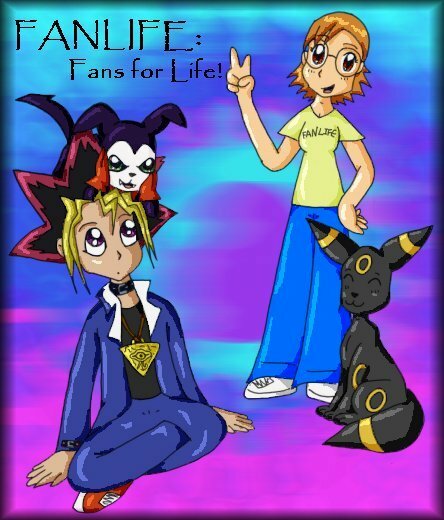 This site was officially made on: June 11, 2001 10:17 p.m.